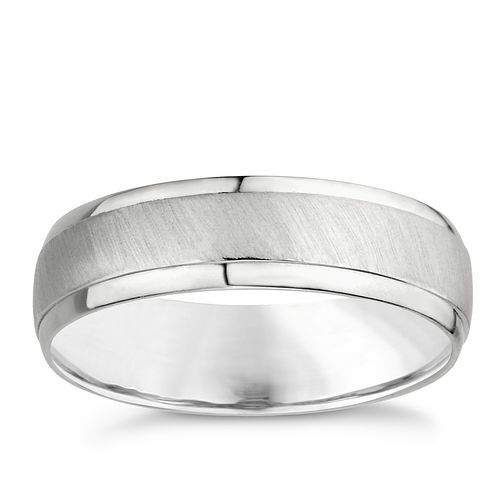 A 6mm palladium 950 band ring combining polished finish with a raised matt central band. A modern and simple design. A gift of love for the love of your life. Palladium 950 6mm matt & polished ring is rated 1.0 out of 5 by 4. Rated 1 out of 5 by Anonymous from Don't waste your money I've been wearing the ring for around a month and is terribly scratched already. Really disappointed with it. Saw the reviews and thought it couldn't be that bad but it really is terrible. I really wouldn't waste your money on this. Rated 1 out of 5 by Anonymous from very poor quality The quality of this ring is very poor. I got married on the 19th may 2017 in Cyprus after the wedding we had a weeks honeymoon and before we had come home the ring was already very scratch and the polished coating in the center had already gone to a horrible matt scratched metal. since we have been back in the UK it has only got worse very scratched and tired looking my parents have been married over 50 years and my dad's ring doesn't look as bad as this. not worth the money at all very disappointed as this is supposed to be a ring I wear for the rest of my life.